Fastbraces® are a novel approach to orthodontics that can help you get a straight, beautiful smile in far less time than traditional braces. Schedule a consultation with Dr. Peng to learn how he's using Fastbraces® technology to help Gardena, CA, patients get the straight teeth they've been dreaming of. Fastbraces® are a type of orthodontic treatment designed to shift teeth into proper alignment much more rapidly than traditional braces. That's because unlike traditional braces that shift the crown of the tooth first and then shift the root, Fastbraces® focus first on moving the root right from the beginning of treatment. When roots are shifted first, treatment can be completed much more quickly – typically in a fraction of the time of traditional braces. Most treatments take from a few months to about a year. Dr. Peng will be able to give you more information about the duration of your treatment after he evaluates your teeth and jaw. Yes, once the braces are removed, you'll need to wear a retainer either while you sleep or for a more limited period of time during the day to help teeth remain in alignment. 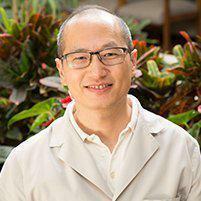 Dr. Peng will discuss your options during your treatment. What conditions can Fastbraces® treat? Do Fastbraces® look like traditional braces? While some types of Fastbraces® rely on metal components like traditional braces, other types use clear components so they are much less noticeable. If you're interested in the clear version, Dr. Peng will be able to determine if you're a candidate for them during your initial consultation. Will I need to have teeth pulled before treatment? In most cases, no extractions are necessary in order for Fastbraces® to shift teeth into their proper alignment. Are Fastbraces® just for children? No, Fastbraces® can be used for children, teens and adults. The best way to learn if they're a good option for your needs to to schedule a consultation so Dr. Peng can evaluate your teeth and your bite.